Why Do I Need Cold Room Shelving? Cold room shelving consists of custom-built shelving units that are suitable for containing items in rooms that reach extremely low temperatures. Used in a number of different industries, mainly supermarket retail outlets, cold room shelving has various benefits that not only help retailers but also help customers in the long run. Below are various reasons as to why cold room shelving is sought after in certain businesses and why its uses are to be constantly included in the storage of food ingredients and/or stock. The main focus of cold room shelving is its levelling system. Having various shelves available is useful for numerous reasons in terms of keeping food ingredients stored. Firstly, there is always the worry of cross-contamination. Cross-contamination occurs when bacteria from some foods (typically raw meats) unknowingly cross onto other foods. Through the use of cold room shelving, you can keep your food separated. For example, your raw meats can be stored away from vegetables and cooked meats etc. This hygienic shelving preserves the hygiene of food products and prevents you from losing out on food products or potentially needing stock to be recalled if they potentially contain toxins. Incorporating cold room shelving into cold rooms can assist in reducing the risk of contamination as different food groups can be separated onto different shelves. For those outside of the food industry, cold room shelving can assist in businesses keeping their stock organised. The organisation of items is paramount in any form of business, especially food storage and medical-related storage units. It enables you to keep track of items and identify which products are most popular, helping you with future investments. Cold room shelving units can be constructed easily and can also be constructed to be mobile, with wheels attached at the bottom. Having shelving units within cold rooms that are easily mobile is positive for adaptability. In the instance of your cold room having numerous cold room shelving units due to your amount of stock, having shelving units that are easily moveable will save time in the organising of your goods. Moving items between fixed shelving units can prove to be a time-consuming task whereas being able to easily move shelving units filled with stock is much more efficient. Materials in the manufacturing of cold room shelving are paramount. Primarily, the shelving units want to be easily cleaned and handled. This will allow any suspected spillages or suspicions of germs to be dealt with as quickly as possible. Thankfully, cold room shelving units tend to be made using polypropylene and/or stainless steel. Being made of materials that are easily cleanable is obviously of benefit to anyone storing items that can spill such as in food storage or medical sectors. Having easily cleaning shelving units enables you to be able to work quickly in keeping your storage area clean, therefore reducing the chance of germs spreading or attracting rodents. 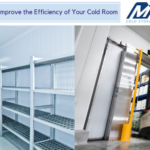 Linking back to the organisation of your cold rooms, having easily moveable cold room shelving units enables you to acclimatise to your growing stock quickly and efficiently. If your cold room consists of mainly cold room shelving units, further space can be easily created. Separating stock into differing categories will allow you to identify how much space is required for each section. 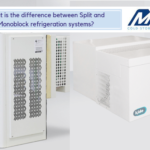 You may find, if you work in the food distribution sector, that organising your food into different spaces properly will free up space in your cold room, therefore making way for more and more stock to be included if certain categories are high in demand. The manufacturing of cold room shelving units takes into account the fact that they will be facing extremely cold temperatures. For businesses that are responsible for the stocking of items to be kept at freezing temperatures, for example, food items and some medical items, they need to be assured that the shelving they are using can withstand the extreme temperatures they will be exposed to. Cold room shelving tends to be manufactured to be resistant to the effects of extreme temperatures. 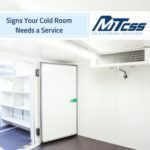 This allows business owners to have long-lasting shelving units without having to pay continuously for new cold room shelving units, something business owners will see as an unreliable standpoint. Manufacturers of shelving units understand that people of different heights will be dealing with said shelving. For people who are considered too short for shelves found at the top of the unit, it is handy to know that cold room shelving units tend to be height adjustable. Shelves can usually be adjusted to different heights on the unit for easier access. This saves some employees having to struggle or unsafely use ladders to reach products during work hours, potentially causing work injuries. 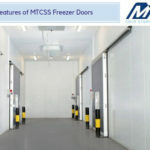 MTCSS focus their specialist skills on the supply and installation of cold storage solutions (including cold room shelving) and industrial doors. 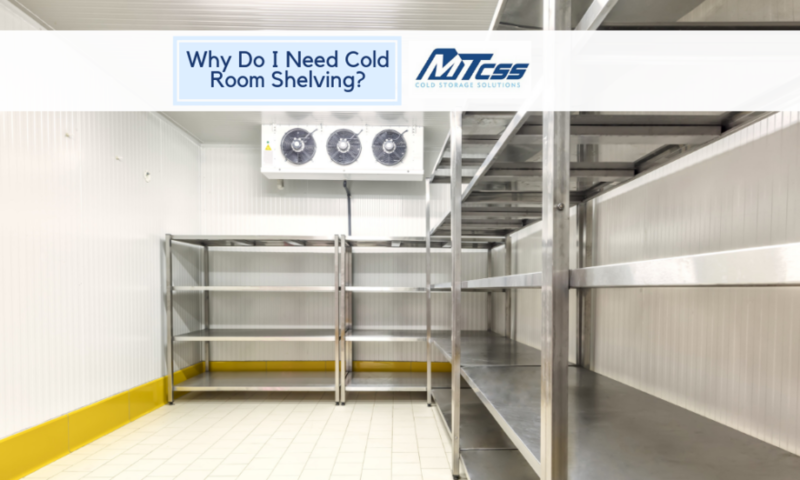 Rest assured that cold room shelving provided by MTCSS will adhere to your every need, whether it be for food retail, warehousing, hotels, medical storage or any of the other industries we cater to. If you feel that our cold room shelving units are perfect for your needs, contact us today! You can call us on 01886 833381, or alternatively, you can email us at sales@mtcss.co.uk. One of our specialists will be happy to help you with any queries you may have. 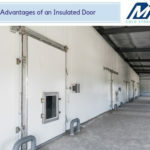 How Could an Industrial Cold Room Help My Industry?